Now in its 9th year, the Riviera Yacht Support Snow Bonanza is the largest winter snow day for the superyacht industry on the French Riviera and we are thrilled to announce our valued Sponsors who are joining our event to maximise their company brand in front of yachting professionals. 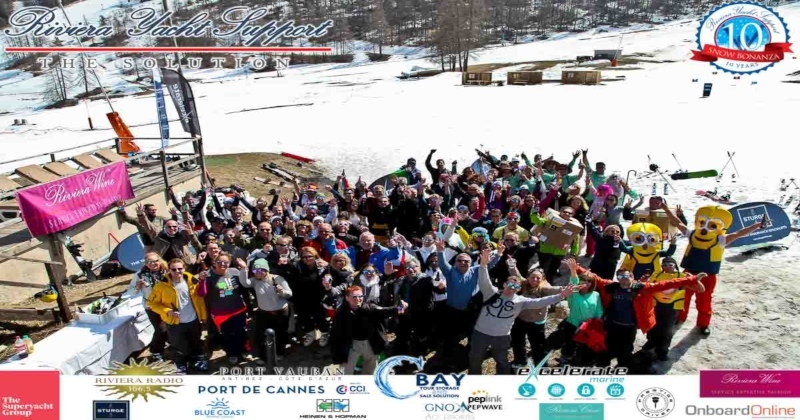 The 2018 Riviera Yacht Support Snow Bonanza will be hosted at Auron ski resort in the southern French Alps on Friday 23rd March 2018. 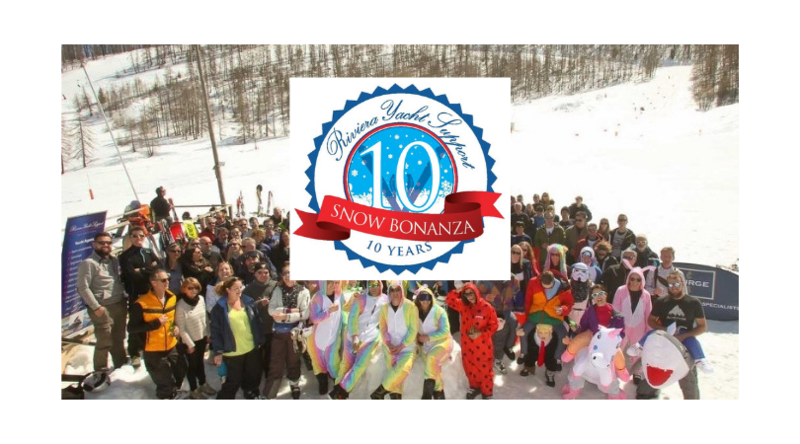 Please meet our Sponsors for the Riviera Yacht Support Snow Bonanza 2018! 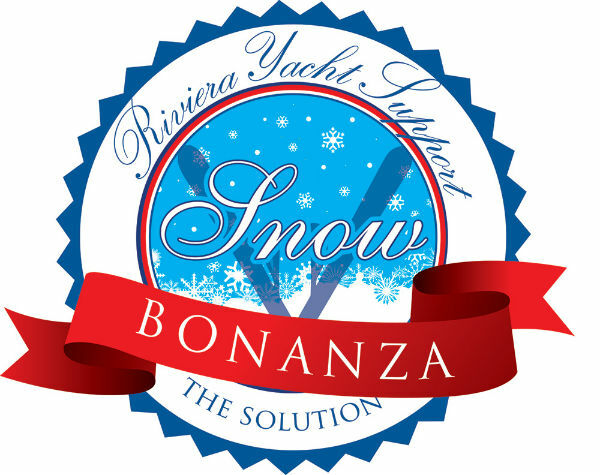 THE SUPERYACHT GROUP is our Media Partner for the 9th edition of the Riviera Yacht Support Snow Bonanza. The Superyacht Group is the industry’s leading information and market insight provider. The Group’s portfolio of services comprises print reports, a digital news site, the industry’s leading conferences, bespoke event services, market consultancy and intelligence, and a full-service marketing and branding agency. RIVIERA RADIO is participating as our Radio Partner for this year's event. Riviera Radio is the only English-speaking radio and daily media in the south of France with specific programming dedicated to yachters, and has been at the center of the yachting community for 30 years. An excellent marketing tool for yachting companies and service providers and a strong multichannel platform to connect and provide leads with owners, yachting professionals, charter customers, captains and crew. Every year Riviera Radio is media partner of Cannes and Monaco Yacht Shows with live broadcasts, interviews and daily reports so we're happy to welcome them again to another one of our events ! RIVIERA CBAY joins us as the major Sponsor for 2018's event, our Peak Sponsor. 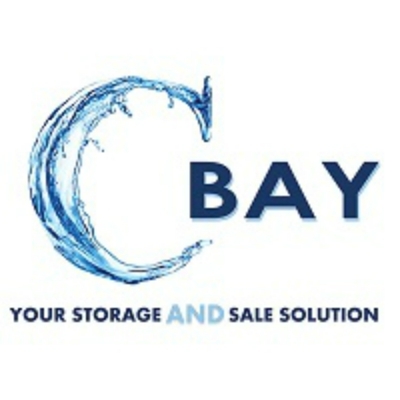 As the premier storage AND sales solution for the French Riviera and beyond, Riviera Cbay store, sell and ship your ex-yacht items and yacht equipment. Their 260m² safe and dry storage facilities in the Trois Moulins area next to the Antibes autoroute exit is also ideal for traditional storage. Riviera CBAY has introduced an 'á la carte' storage service and bespoke logistic service which will enable you to pick up the phone and select which of your items you need and they will deliver them to the destination of your choice immediately! 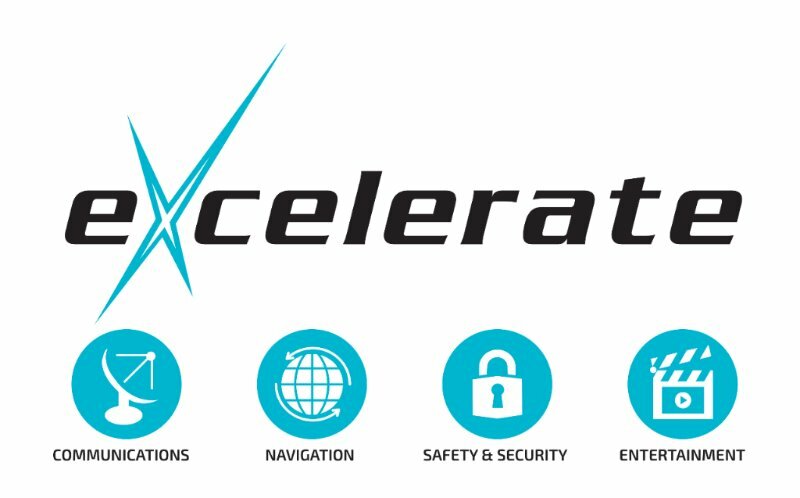 EXCELERATE MARINE is the leading and trusted critical communications provider to Government and the Emergency Services, failure to deliver is not an option in their world. Formed in 2001, they pioneered the concept of rapidly deployable, totally independent and resilient broadband via satellite for emergency responders which now supports a broad range of applications. They have now extended their experience and expertise into the Maritime market where no other provider has these end-to-end credentials and are providing solutions covering; communications, navigation, safety & security, IT & AV integration and more. 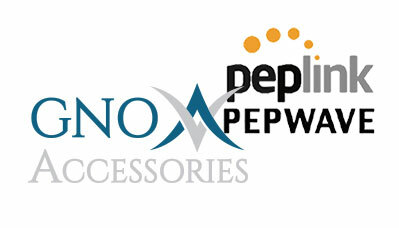 GNO ACCESSORIES/PEPLINK/PEPWAVE are joining us as Summit Sponsors. GNO ACCESSORIES specialises in the design, installation, support and maintenance of onboard IT, AV and cellular systems. Their aim has always been to provide a solution that is reliable and easy for the crew to manage. GNO Accessories also provides cellular contracts which allow for unlimited data in France and 100 Gb of roaming in Europe. PEPLINK/PEPWAVE has set out to create the most reliable and easiest-to-use routers since their inception. Since then, they have developed multi-WAN VPN bonding (SD-WAN) routers and access points with industry-leading durability, a straightforward and intuitive web interface, and a wide range of features that are difficult to match. From home-office users, to enterprise-branch networks, to emergency vehicles and superyachts they have helped thousands of customers migrate from traditional WAN to our SD-WAN solutions, resulting in increased bandwidth, higher WAN reliability, and lower costs. RIVIERA WINE is the wine division of Riviera Yacht Support, led by Master of Wine Louise Sydbeck. With over 10 years experience of supplying wine to yachts, Riviera Wine can offer the very best advice. They are passionate and knowledgeable about the wines they supply and have a very customer-centric approach. For all of your wine supply needs, WSET courses or tastings, you can rest assured you are in the very best hands. ONBOARD ONLINE is joining us as a new Sponsor this year and will offer us additional media support from their large network. 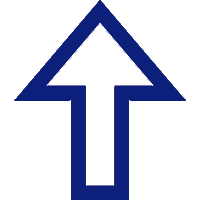 Onboard Online is a digital publication for the global yachting community, targeted to captains, crew, industry professionals and enthusiasts worldwide. Their mission is to be at the forefront of issues that matter to our readers, providing information and resources around yacht charter, marinas and destinations as well as new technologies and marine conservation. With a significant audience across the sector, they produce and promote editorial content to place clients in front of the right people in the right ways to gain tangible results. 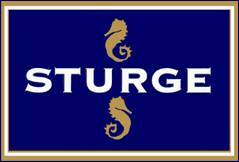 STURGE Sturge International & Sturge Taylor are the leading professionals in the field of luxury yacht insurance. With a combined experience of over 50 years and a portfolio of total values in excess of US $1,000,000,000 we are able to negotiate highly competitive rates and offer extremely comprehensive insurances. YACHT CHANDLER'S presence in the Med is continually growing. They are fully set up to deal with all of your interior, deck & engineering requests from their office in Antibes. Their team of ex-yacht crew have the knowledge and hands on experience to assist you in all departments. With daily deliveries along the coast and on-site product availability, they are the obvious choice for your yacht suppliers in the Med! HEINEN & HOPMAN has become a leading specialist in the maritime sector. They provide world-class quality and service in air conditioning, ventilation, central heating, refrigeration and mechanical ventilation, and have supplied over 10,000 vessels worldwide. The no-nonsense and entrepreneurial spirit of the employees who founded the family business in 1965 continues to pervade the company today. At the same time, Heinen & Hopman is renowned for thinking ahead of the curve and coming up with genuinely innovative systems and solutions. RIVIERA PORTS is the network of 4 ports managed by the French Riviera Chamber of Commerce: Cannes, Golfe-Juan, Antibes (including Port Gallice and Port Vauban) and Nice. The teams of the Riviera Ports network are here for you, and are committed to making your stay exceptional. Their mission is to satisfy the expectations of all their clients. RIVIERA CREW is part of the Riviera Yacht Support group. 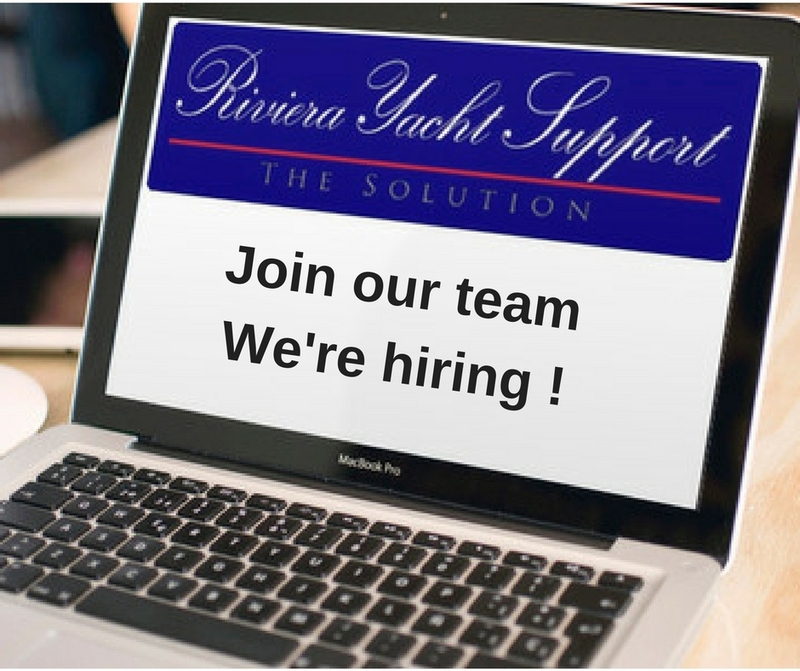 In 2009 Riviera Yacht Support opened its Crew Division here in Antibes and continues to provide the very best in recruitment and placement of professional crew. Riviera Crew is an industry leader in providing an excellent all round and complete service for Yachts and Crew. With a comprehensive database of individually checked and verified crew members they offer an outstanding placement service bar none - the Antibes office is open from Monday to Friday 09h00 to 17h00, with a consultant available 7 days per week. We are thrilled to introduce a new Sponsor to this year's event, BLUE COAST BREWING, who are joining us as our Après-Ski Sponsor. BLUE COAST BREWING COMPANY embodies all things good in the South of France: the magic of a warm summer evening, a BBQ with friends, a day at the beach, a fast run down the slopes followed by an après-ski by the fire. A hike to one of the region’s many dramatic viewpoints, a cycle through rocky hilltops, a boat ride and a dive into the big blue. Their finest quality brew is crafted to celebrate and refine every activity as the day draws to an end. Produced using only the finest ingredients, BLUE COAST BREWING COMPANY beer is the calling card for all discerning beer drinkers, as well as the ideal gateway for curious consumers who want to discover craft beers. THANK YOU TO ALL PARTICIPATING SPONSORS ! REGISTRATIONS ARE NOW OPEN FROM 1st March 2018. BUY TICKETS BY CLICKING ON THE BUTTON BELOW.